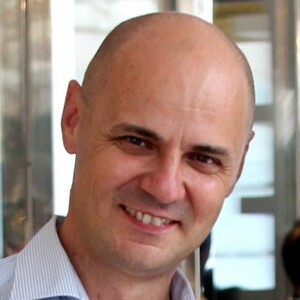 Lajos Tancsik is the head of software development of INSEAD Business School based in its Singapore campus. He spent 20 years in various senior management positions on the IT area at well-known players of many industry sectors, like FMCG (BAT and Pepsi), heavy industry (Alcoa), banking (Intesa San Paolo) and education (INSEAD). He has 10+ years’ experience in leading virtual teams in multinational, many times cross-continent environment. During his current assignment he has successfully transformed the software development of INSEAD to agile. This achievement is a major contribution to the new digital strategy of the School. Lajos has 5 years of experience of soft skill training, management coaching and group coaching as well. Two strong, business lines competing for resources, an underperforming external software company, a long-running waterfall project, an operational crisis around a recently deployed system – are all well-known phenomenons for software development leaders. But what happens when they all occur at the same time, while the further development of the software is in progress with full speed? Such an instructive story will be presented during the session, where topics will be discussed like transforming a waterfall project to agile, building an internal scrum team, and when business decision puts two Product Owners on top of the merged code base. Meanwhile a software application in crisis mode becomes an exemplary success story. About INSEAD: As one of the world’s leading and largest graduate business schools with campuses in France, Singapore and Abu Dhabi, INSEAD’s business education and research spans three continents. Its 146 renowned Faculty members from 34 countries inspire more than 1,300 degree students annually in MBA and other programmes. In addition, more than 12,000 executives participate in INSEAD’s Executive Education programmes each year.